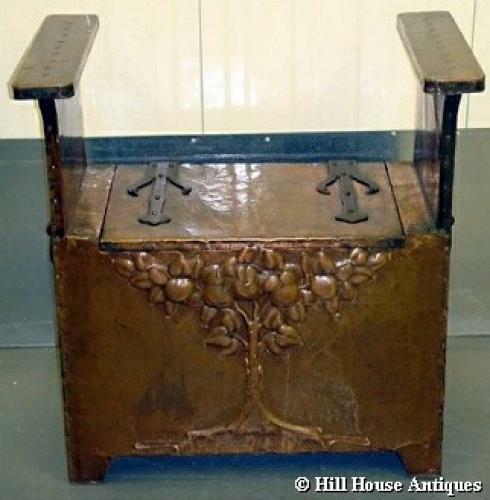 Stylish Arts & Crafts copper clad seat with lift up top. Good solid iron strapwork hinges to top of seat, iron ring handles to sides and stylised tree repousse decoration to front. Originally probably designed as a fireside seat/log box for which it can still be used as such or would work wonderfully as a window or hall seat as well. c1895. Approx 27." wide at top, 15" deep and overall height 28.25". Seat/lid height 18".